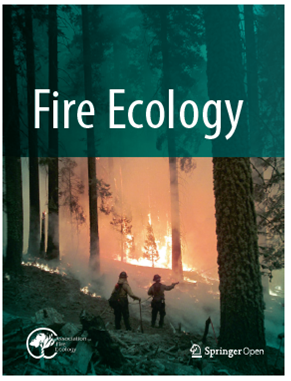 We are very excited to announce that Fire Ecology is now published by SpringerOpen. This change will advance Fire Ecology so that it will rank among the very best journals in wildland fire science! SpringerOpen will provide a high-quality publication system to catalog all accepted papers, which will make it easier to find Fire Ecology articles through multiple search engines and databases. The journal will remain “open access” meaning that anyone with internet access can view and download the journal articles free of charge. While we will still send journal news through our email list, signing up to receive alerts from SpringerOpen is the most efficient way to stay updated on new Fire Ecology articles. Once you have registered your email, you can add article alerts for Fire Ecology, as well as any other SpringerOpen journals. You can also set the frequency for receiving alerts for each journal individually. Previously published papers are still available at fireecologyjournal.org. We are planning to move these papers to the new publication system in the future, but for now please use our existing journal website to view and download articles. What changes will authors notice? Authors should now submit all manuscripts on the SpringerOpen website. The submission system can be accessed through the website by clicking the ‘Submit a manuscript’ button at the top-right of the page. In addition to making it easier for readers to find your articles, SpringerOpen has a state-of-the-art online submission system. This system will simplify the submission process and make it more efficient for both authors and reviewers. Articles will be published online when they are accepted; we will no longer have issues. To keep our commitment to having an open access journal, Fire Ecology will have article-processing charges (APC). Current members of the Association for Fire Ecology will receive a 15% discount. Click here for more info on fees. Submit your next manuscript to Fire Ecology !